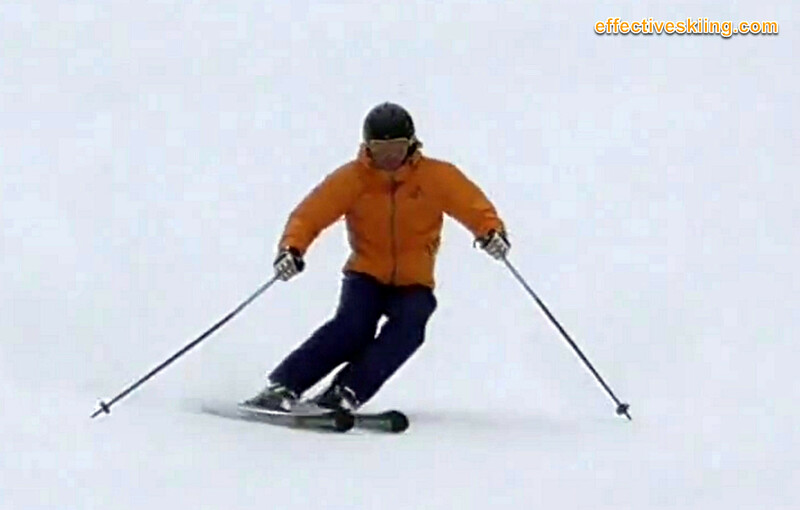 This expression refers to the general need, in high-performance skiing and carving, to get aligned over the outside ski. You may hear this a lot in racing circles, as yelled by coaches in all languages, as this is a critical skill of expert skiers. What it really means is to use the upper body for alignment and balance on the outside ski, and get the outside ski to grip. Lest we draw complicated force vector diagrams, you can think of it as needing to place as much weight over the outside ski as opposed to "inside the turn" or the "inside ski". This "weight" however is in relation to the resultant force vector, which is more lateral the more we turn. Improving the separation of the lower and upper body movements is critical and balancing over the outside ski is accomplished via counterbalancing and counteraction. This is not a static notion - there are changing relationships between the different body parts, skis and movements as the skis turn, so the upper body will angulate towards/over the outside ski, to stay in balance. 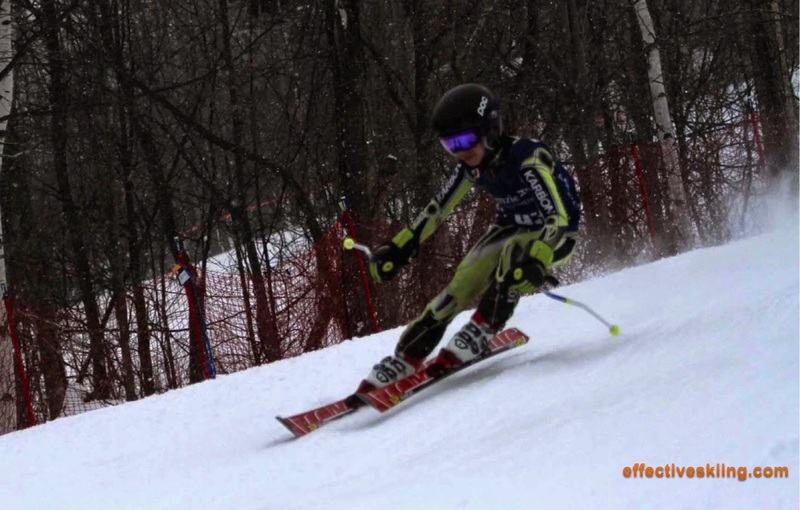 With Coiling, this movement includes an angulation "forward" at the hip, because the hips are facing to the outside ski more. Well, the more weight there is on a ski, the more it bends and the more it turns. As we strive to carve the outside ski for the most part, whenever we're turning. The forces we balance or "stack" against however change throughout the turn: there are less lateral forces at the top of the turn, a lot at the apex or fall line and maximum at the bottom of the turn. But that's not the entire story, because this is also related to the need to apply pressure to the skis, which is also a tactical decision as it will alter the line. We can decide to "give in" to some of these forces and end the turn sooner or later, as needed. All we do to "give in" is to relax and flex our way out of it.